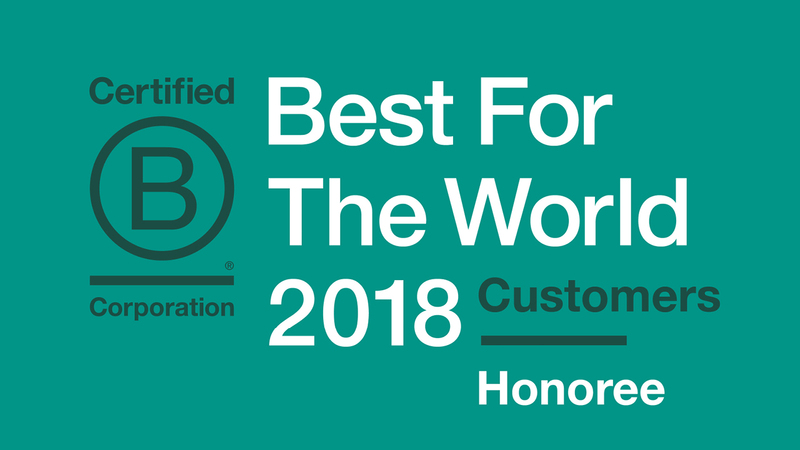 SAN FRANCISCO, CA, June 12, 2018 – Wetherby Asset Management has again been honored by the nonprofit B Lab as B Corp Best for the World for Customers, recognizing both our commitment to clients and comprehensive service offering. B Corporations, or B Corps, are for-profit companies certified by the nonprofit B Lab to meet rigorous standards of social and environmental performance, accountability and transparency. The Best for Customers list includes businesses that earned a Customers score in the top 10% of more than 2,400 Certified B Corporations on the B Impact Assessment. The 221 Best for Customers companies come from 69 different industries and 32 countries; honorees are featured at https://bthechange.com/2018-best-for-the-world-customers-honorees-d57cfc118267. Our firm became a certified B Corp in 2016 to institutionalize our culture and values in a way that resonates with our clients, team and community. Our firm’s focus on exceptional client service, customized investment advice and impact investing was key in our placement on the Customers list, which recognizes companies that offer services that promote public benefit and address social and environmental issues. Since our certification, Wetherby has been recognized as a Best for the World recipient in the Customer and Workers category in both 2017 and 2018. For additional details and methodology for the ranking, please see our disclosures below.